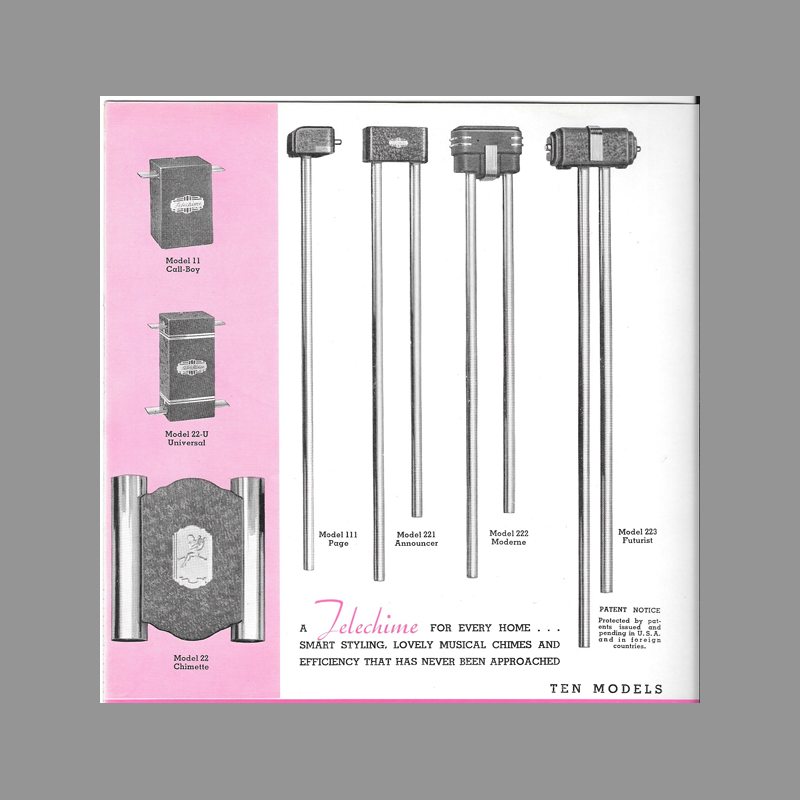 The General Kontrolar Company offered a full line of door chimes under the TeleChime Brand in the late 1930s and early 1940s This model is believe to be a model 111, albeit with a more streamlined version of the cover with more prominent branding. Model No. 111—Sounds a single tone each time is pressed. Surface mounting. Door Chime and code calling. Single Chime action. This 111, along with other contemporary chimes from Telechime, features a unique adjustment for the strike. Two notches on the posts that suspend the bell allow for a gross lateral distance adjustment from the striker. A machined knurled thumb screw with a locking nut to allow fine tuning of the volume. 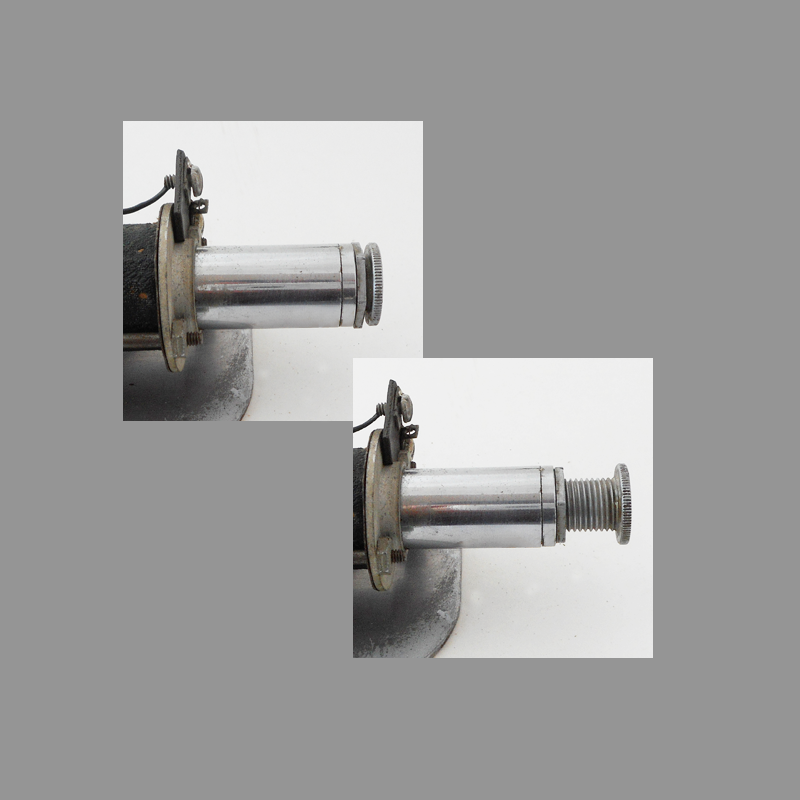 When the thumb screw is turned clockwise (tightened) the travel of the solenoid plunger is minimized resulting in less velocity when it strikes the tube. This results in a lower volume. Conversely, when the screw is loosened exposing more threads, the plunger’s travel is greater resulting in a more volume. 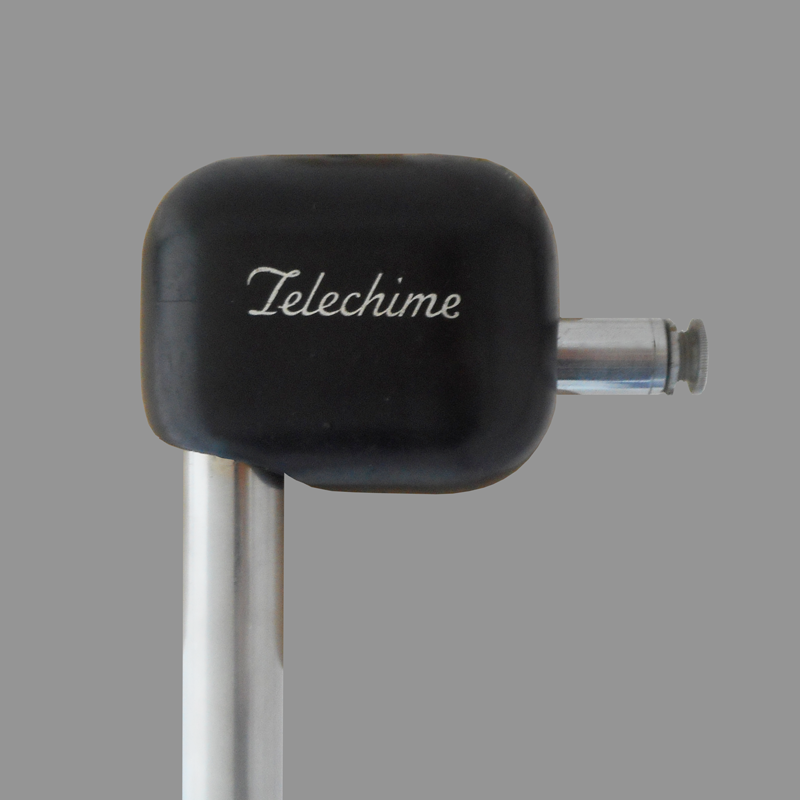 The thumbscrew adjustment was accessible on the side of the chime and finished in chrome. 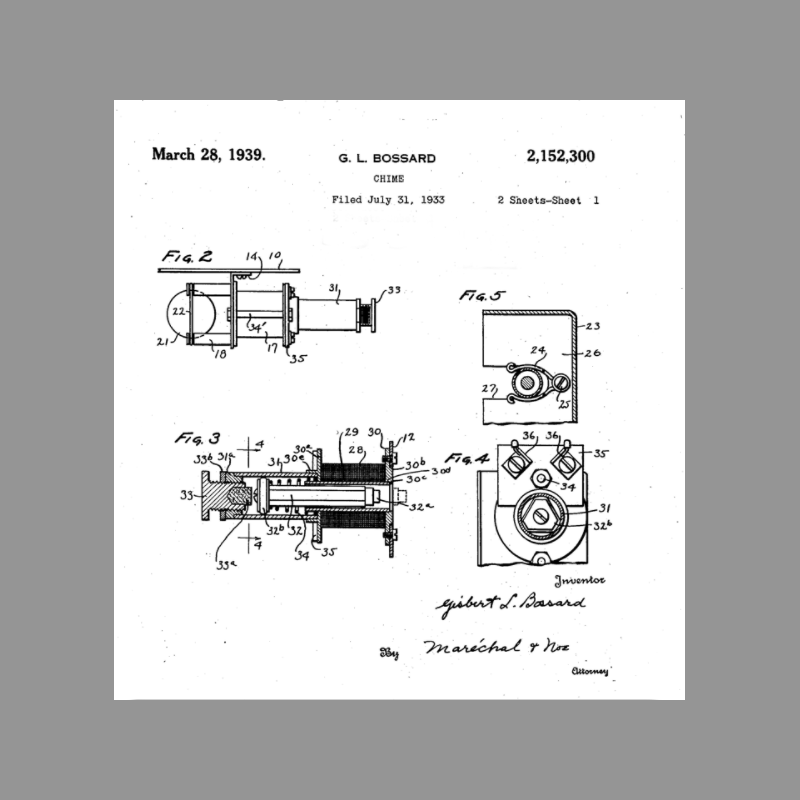 This arrangement eliminated the need for the back of the solenoid to be recessed in the wall allowing the surface mounting as described in the catalog. 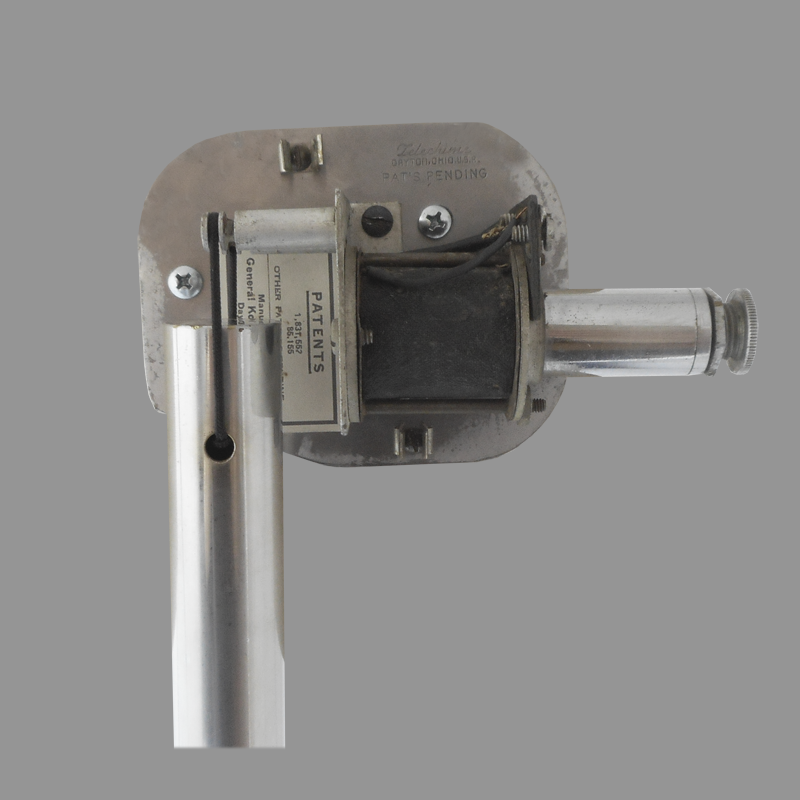 Manufacturer Telechime Division, General Kontrolar Company, Inc.
Chime Tube Polished, nickel plated brass.